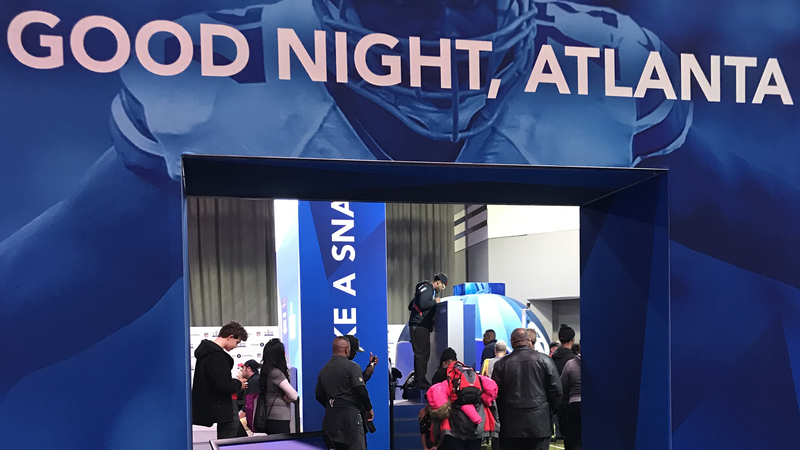 For the second year in a row, Sleep Number asked Groove Jones to support them at another Super Bowl. 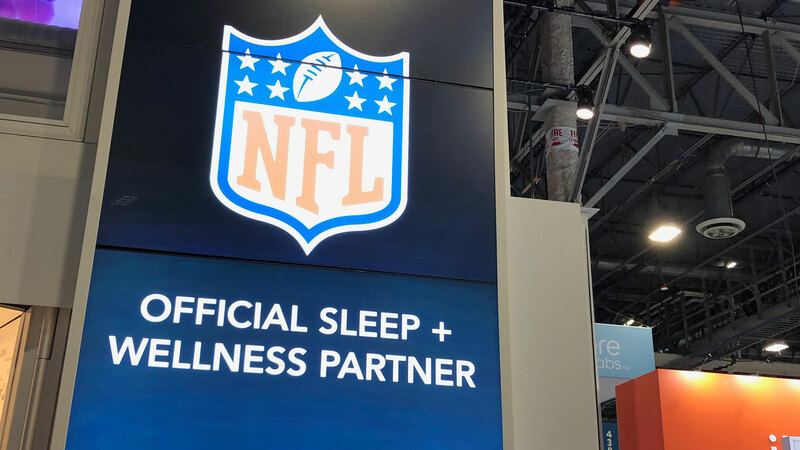 Sleep Number is the Official Sleep and Wellness Partner of the NFL. 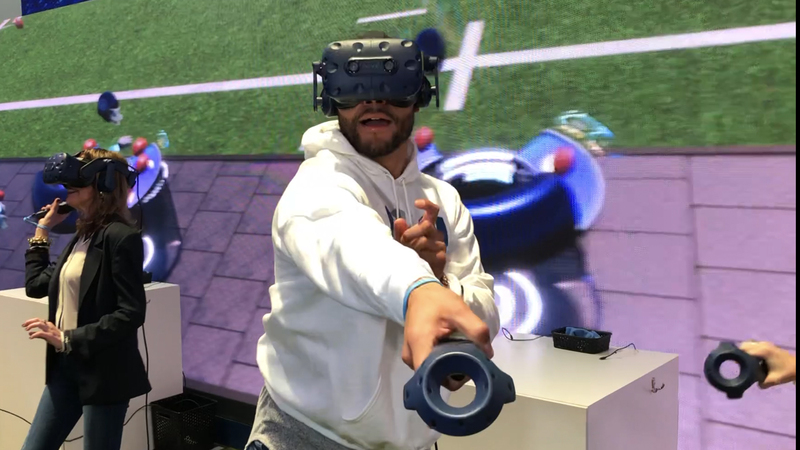 We created a multiplayer Quarterback Challenge VR game that allows fans to experience first hand, how a good and bad nights sleep can impact your performance. 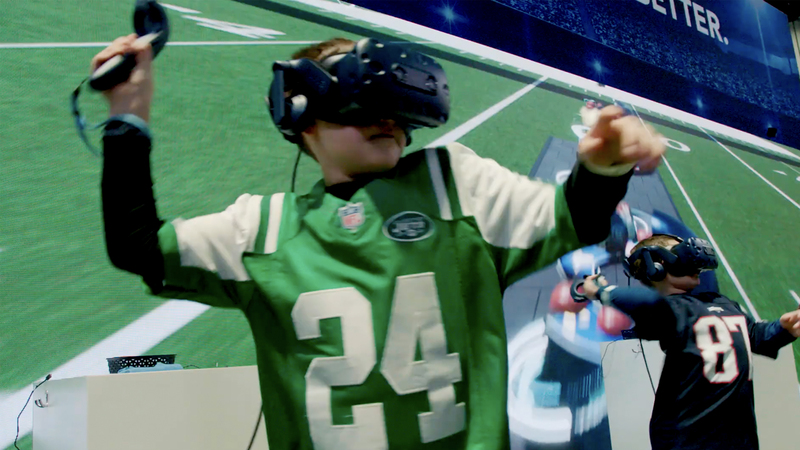 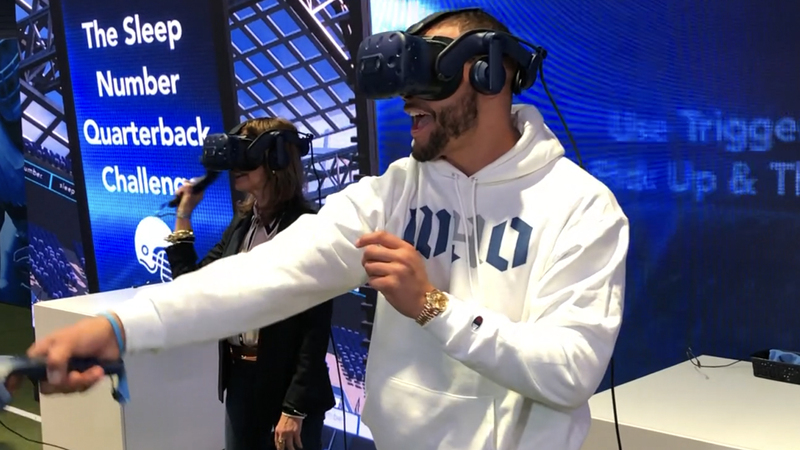 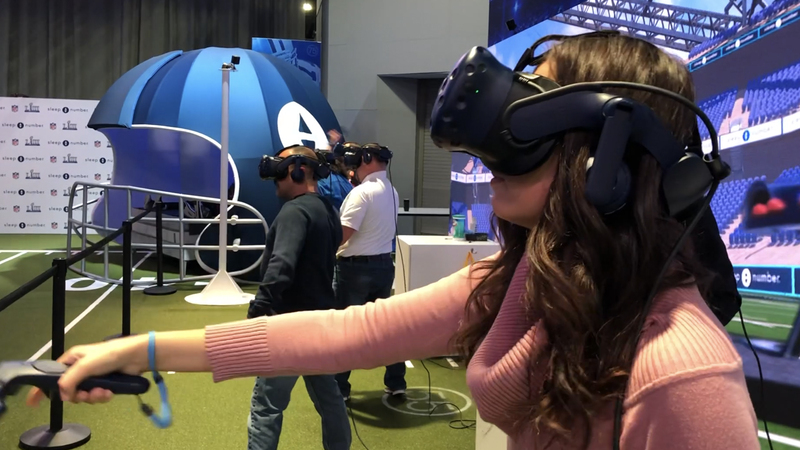 Fans of all ages got the chance to step out onto the 50-yard line and compete in the biggest VR Football game ever seen. 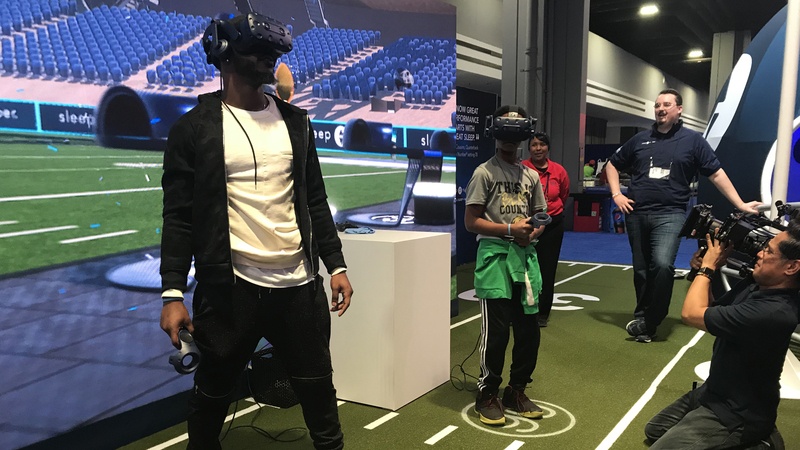 This was all part of the 10 day NFL Fan Experience event leading up to the big game in Atlanta, Ga.
Young and old fans lined up to play, but the line moved quickly due to the multiplayer setup. 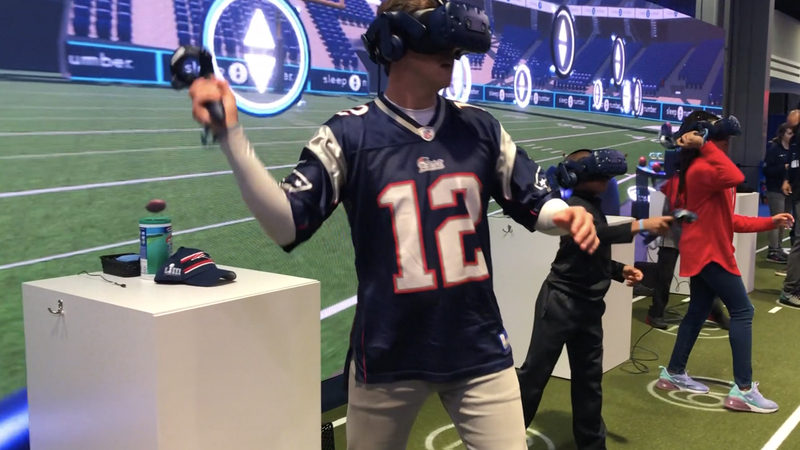 A huge 30-foot video wall displayed a spectator view of the VR experience, so players that cued up to play, had the chance to see how the game was played and to determine their personal strategy. 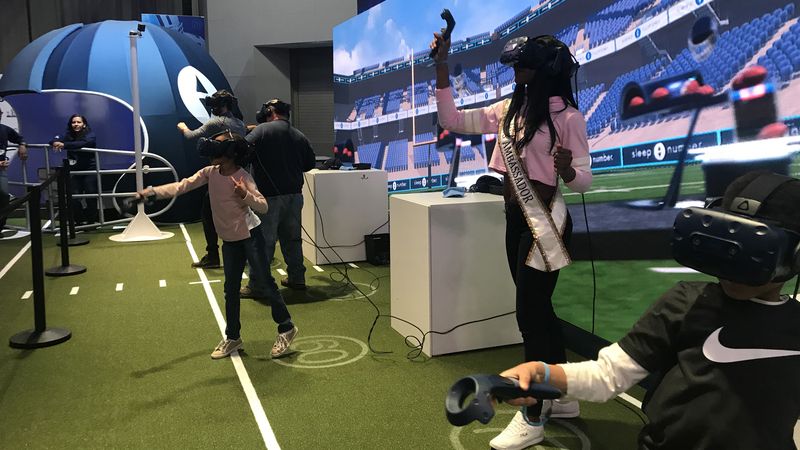 We utilized HTC Vive Pro headsets this year, an upgrade in technology from last year’s hardware. 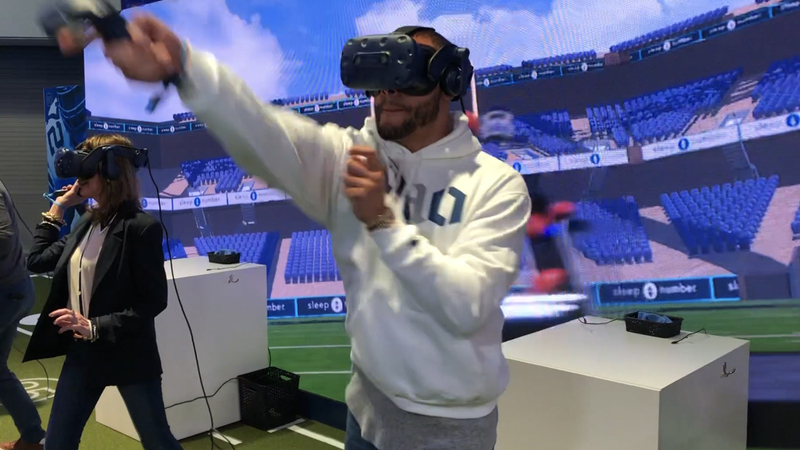 This was a big improvement. 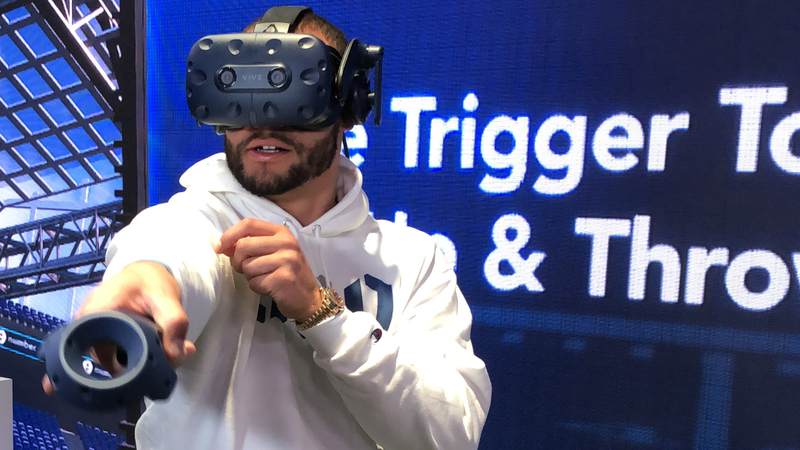 The Vive Pro has a larger field of view and integrated headphones, which made it easier for getting fans in and out of each session. 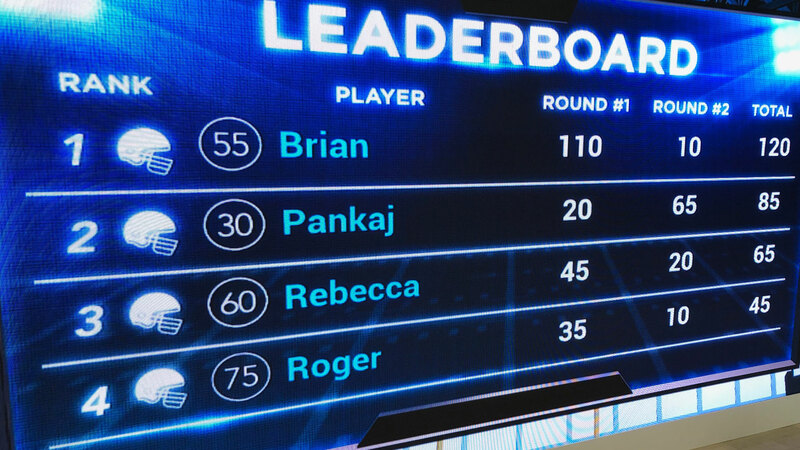 Brand ambassadors utilized custom iPad Apps to register every user that came in to play. 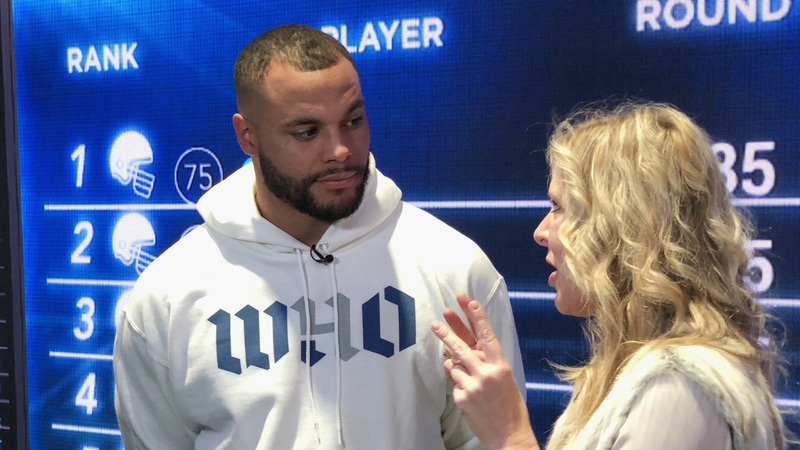 During the fan engagement event, Sleep Number brought in Dak Prescott, Quarterback of the Dallas Cowboys, for an amazing media day event. 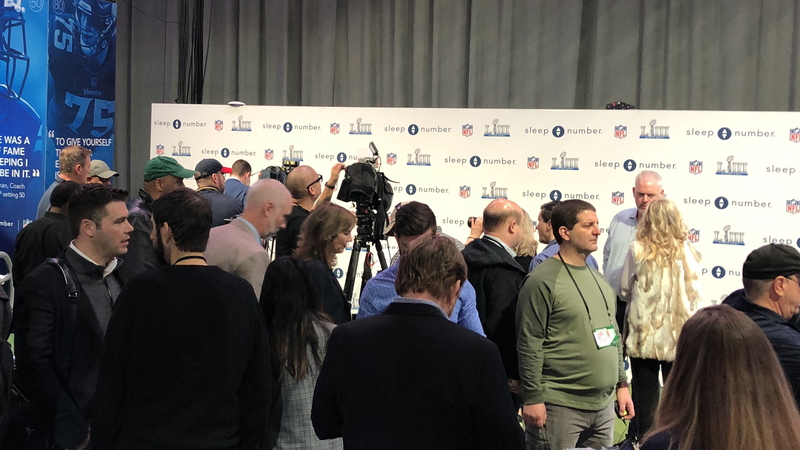 Several of the sportscasters lined up to challenge Dak in a friendly game. 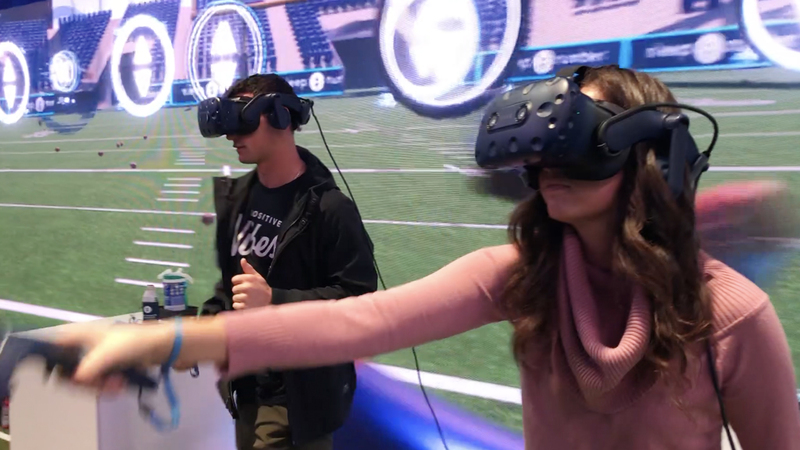 Which turned into a serious competition. 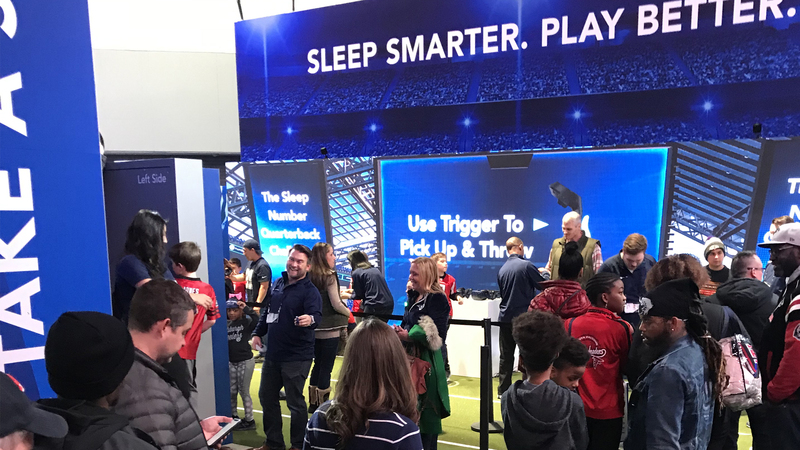 The Sleep Number activation area was stationed on the main walkway within the Fan Experience. 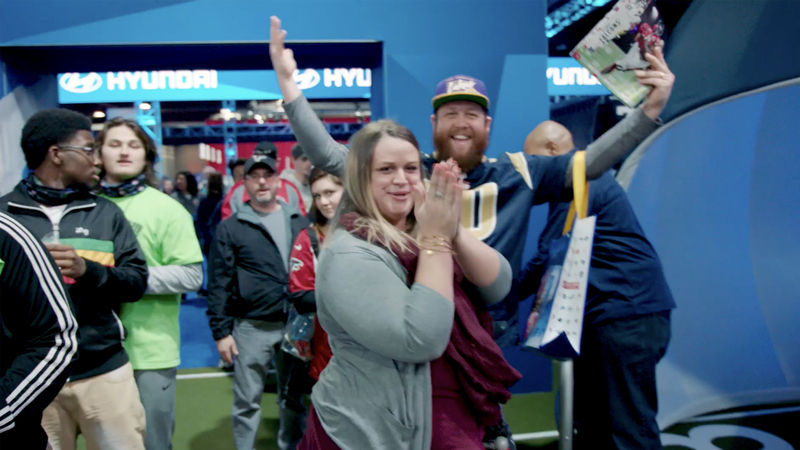 After 10 days (74 hours) of activation, the results have exceeded our expectations. 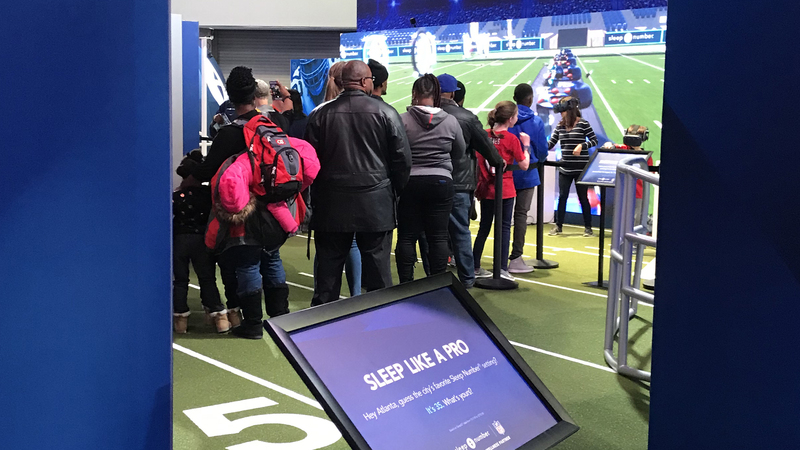 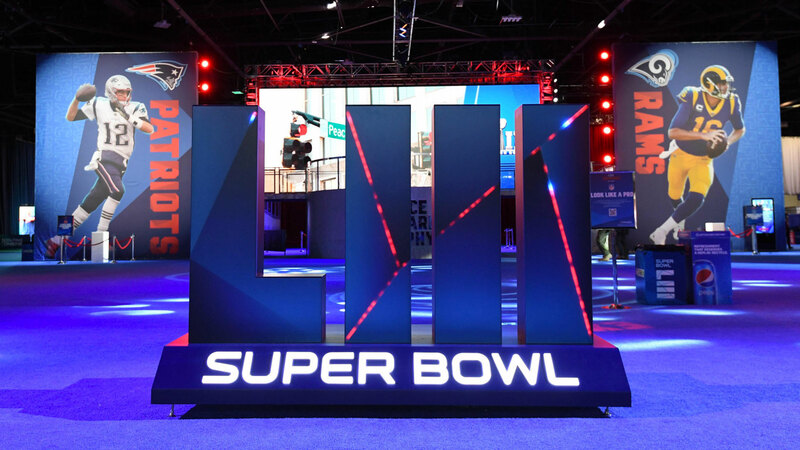 Sleep Number’s booth at the NFL Experience named one of the “most unique sponsorship activations” at Super Bowl LIII by Chief Marketer. 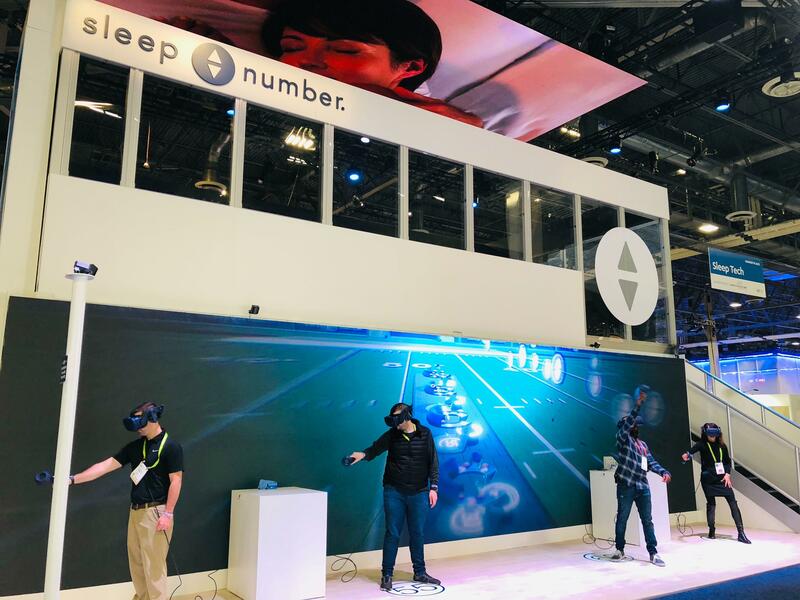 For those of you that follow our media posts, you might have seen our team at the 2019 CES event in Las Vegas. 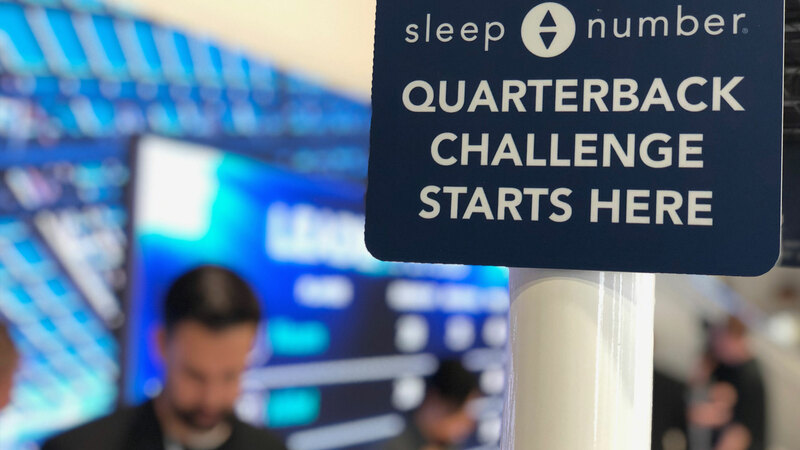 We worked with the Sleep Number to install the Quarterback Challenge game there as well. 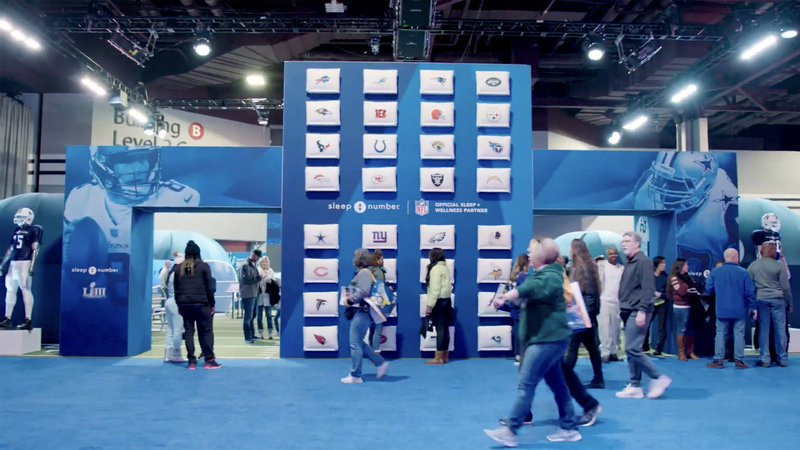 A massive two-story structure with integrated wall video served as an awesome backdrop to the game. 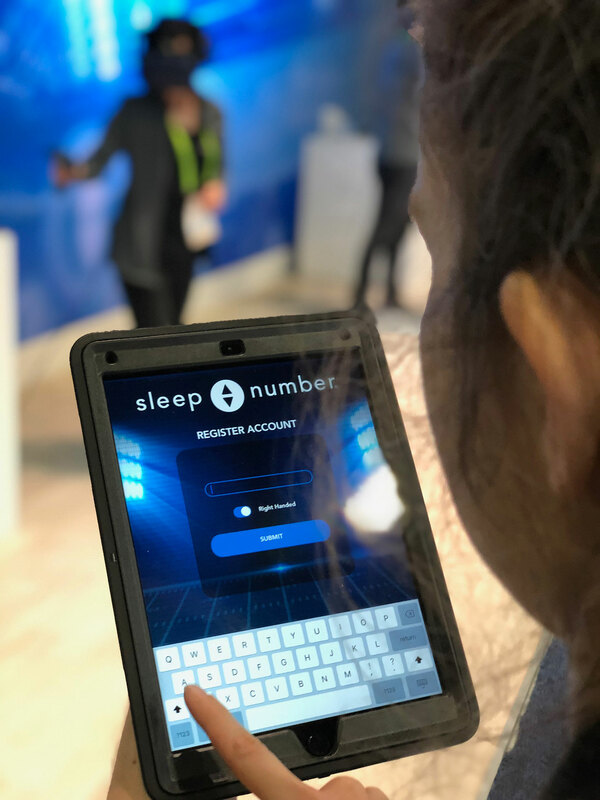 The overall design was striking and helped Sleep Number stand out in the crowd at the show. 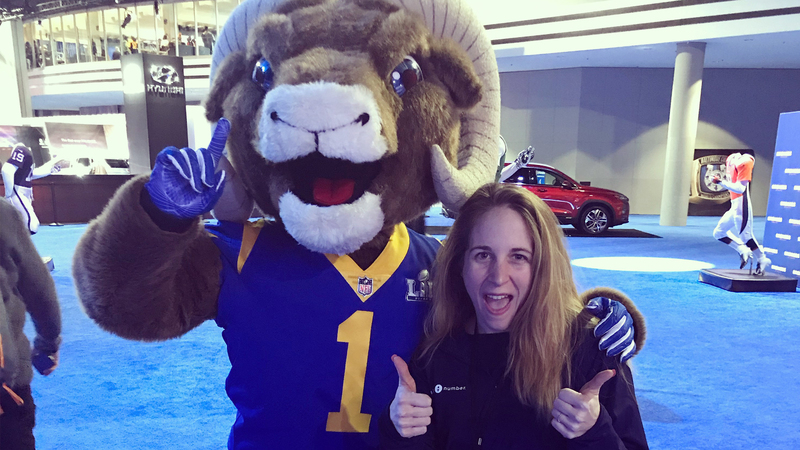 Celebrity sighting! 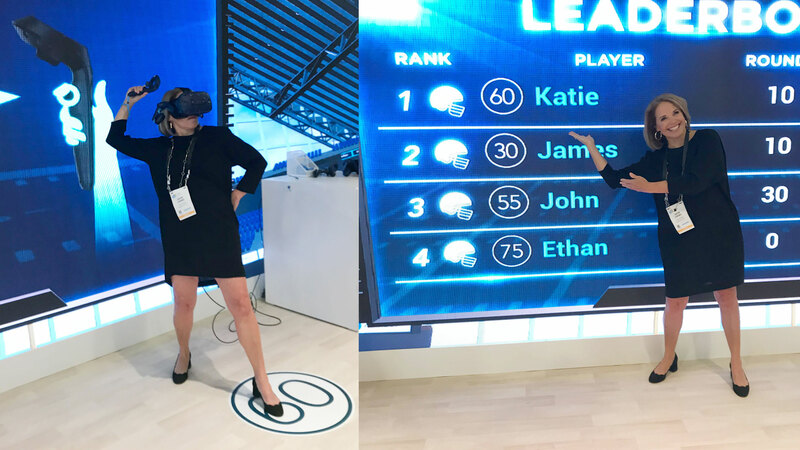 We were thrilled to see Katie Couric step up and give the game a try. 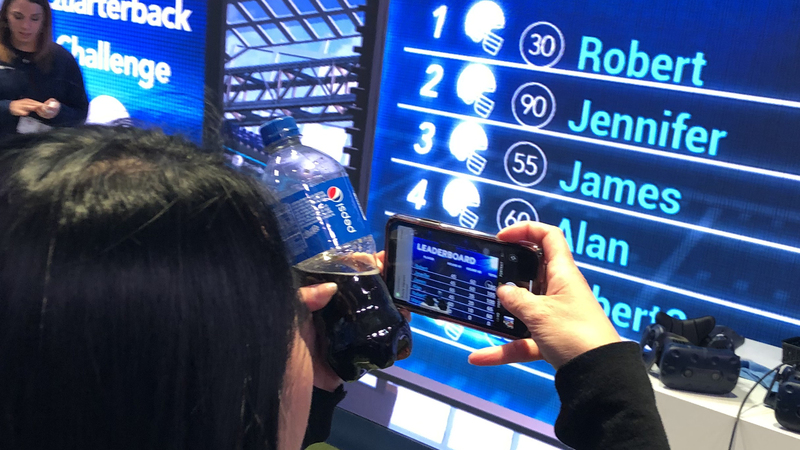 She crushed it, as you can see by her score.